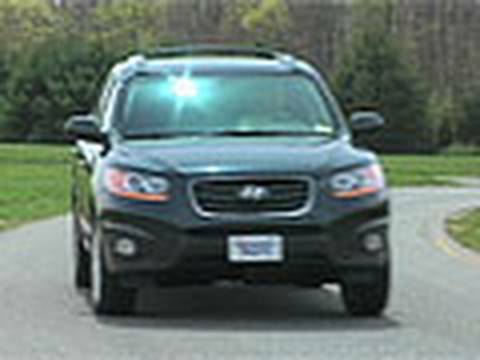 If getting the most for your money matters, the 2010 Hyundai Santa Fe might be the SUV for you. The Korean manufacturers have improved quality over the years but still have to entice buyers with good value and an excellent warranty - the Santa Fe has both. The most interesting thing about this car is the large size and fair gas mileage. I have been driving this car on and off for about 5 years now, and I have not had any big problems with the car! I have driven this car both locally and on small (2-3 hour trips). The tires are the only things that I have needed to get replaced within this past year. I have really loved driving this car. I have found this car to be very good on gas (for an SUV), safe (high above the ground) and good for highway/city/off-road driving. This car is also very comfortable as it has leather interior, front seats that go back a good ways and back seats that fold down to make a lot of extra room. After driving this car, I do not think I will ever go back to anything smaller! Tried and true tried since 2010 and consistently been true to my needs. My 2010 Santa fe has never let me down in mechanical, safety, or comfort. I know it is getting time to think about trading in for a newer model (maybe past time) with less mileage, but I have sat in newer vehicles and the comfort is no way comparable to mine. When I decide to go on a trip I always have my oil changed and everything checked over. My mechanic has never found any troubling issues that would postpone my plans. If and when I do decide to go for a newer vehicle I will look at the Santa Fe first. If not to my liking I will look into the same make of vehicle. It is decent on gas mileage. It was not the car I chose, the bank decided what I could get. I do not like that it is very basic and not unique, as far as exterior looks. It is okay just not striking. I would have chosen a bolder color, like red or cobalt blue but I got stuck with ice blue. I like that it switches to eco fuel but I wish it had more power, it is only a 4-cyl and I would have chosen 4x4 with 6-cyl so I can snowboard during the winter. Overall it is just a basic car that is not bad but I was not what I would have chosen for myself.